In divided and cooperative property buildings, the role of the tenant or owner is crucial for the decision making process, especially with regard to the retrofitting of existing buildings. 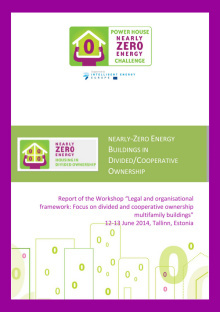 In order to discuss the situation in divided and cooperative buildings in different EU member states, the Estonian Union of Cooperative Housing Associations (EKYL) organised a workshop in Tallinn, Estonia in June 2014. This report highlights the discussions and outcomes from the workshop and study visit and includes a brief description of the presentations by and discussion amongst EKYL’s members, partners and other representatives on nZEB developments in Estonia. 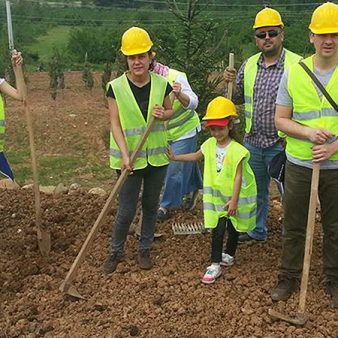 This workshop and report are part of the Power House Nearly Zero Energy Challenge (NZEC), funded by Intelligent Energy Europe and led by Housing Europe. The NZEC seeks to build capacity and confidence amongst these providers ahead of the requirement, that in 2020, all new buildings should be nearly zero in terms of their energy consumption and that any energy required is sourced from renewable supplies.